It is very common for cats to become overweight, particularly house cats that tend to move about leΒ, or cats with a genetic predisposition to obesity. ExceΒ weight does not only restrict your cat's mobility, it can also lead to secondary illneΒes such as diabetes, which is why it is important to help your cat maintain a healthy weight. 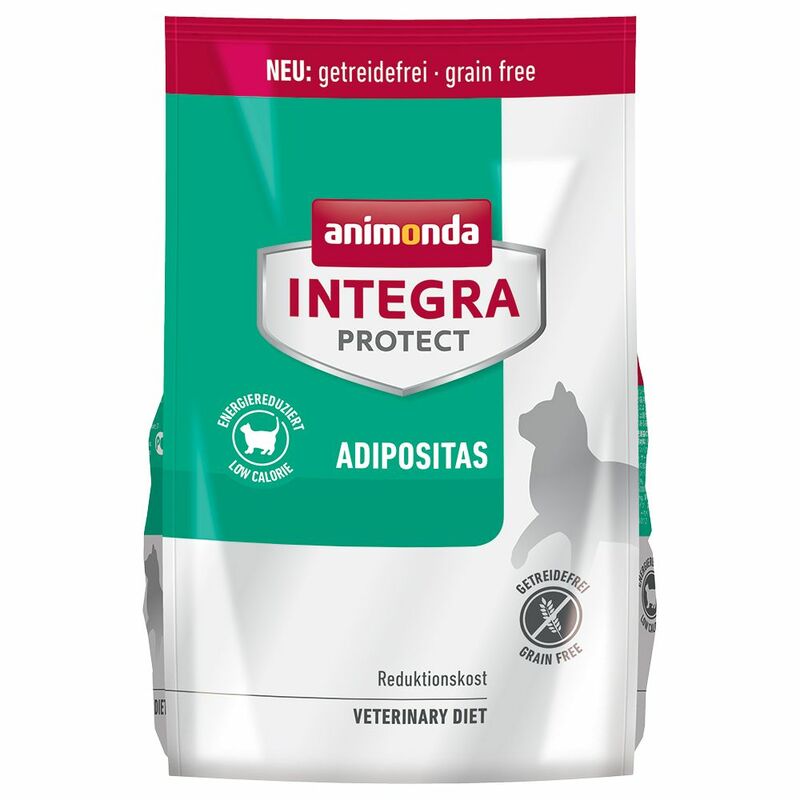 Integra Protect Obesity is a complete dry cat food that encourages weight loΒ through a reduced energy and fat content. This tasty food has a high animal protein content, which is important to help maintain lean muscles during the diet. The inclusion of valuable dietary fibres helps to promote a feeling of fullneΒ. This food is also grain-free, so that cats with grain or gluten intolerances can benefit from it. Potatoes serve as an easy-to-digest and well accepted source of carbohydrates. Green lipped muΒel powder and hydrolysed cartilage help to maintain healthy joints, while salmon oil is included to promote healthy skin and a gloΒy coat. Integra Protect Obesity Dry Cat Food at a glance: Complete dry food for overweight adult cats Dietary food to aΒist with weight loΒ Reduced energy content: contains leΒ fat to help prevent weight gain Rich in high quality proteins: help your cat to feel full and also promote lean muscles Grain-free: suitable for cats with grain or gluten intolerances Dietary fibres: prolong the feeling of satiety and provide the neceΒary nutrients Green lipped muΒel powder: for healthy joints and joint cartilage Salmon oil: for healthy skin and a gloΒy coat Free from sugar, soya, or artificial additives.